The Sudanese consulate in Kufra, Libya,andnbsp;was hit by a hand grenade on Friday. No injuries were reported. The building was damaged. 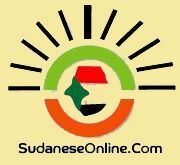 The Sudanese consul in Kufra, Esam Abdel Rahman, on Saturday told the Libyan Solidarity Press Agency that unidentified assailants tossed a hand grenade at the Sudanese consulate late Friday. There were no casualties. The explosion caused damage to the consulate’s building and property. The Libyan authorities have not commented so far. Last month, the Ambassador of Jordan was abducted by masked gunmen in Libya’s capital of Tripoli. He has not been released until now.